A complete yet low-priced practical Sanskrit-English Dictionary for students. The author has added quotations and references to some of the more peculiar meanings of words, especially those which occur in works generally read by the student at school or college. 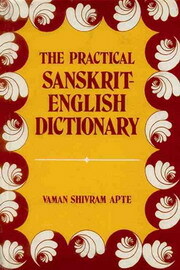 The Practical Sanskrit-English Dictionary is especially useful for beginners as it provides them with apt illustrations of the meaning as well as the sense of the words, and enables them to become equipped with a large range of idiomatic expressions so abundant in the language. Another noteworthy feature of the Dictionary is that it gives detailed explanations of the more important technical terms, particularly in Nyaya, Alankara, Vedanta, Grammar and Dramaturgy, with quotations in Sanskrit, wherever necessary. Similarly, some striking phrases, choice expressions and idiomatic or peculiar combinations of words, have been given wherever possible or necessary. Mythological allusions, in the case of all important personages, have been briefly and clearly explained to give the reader facts connected with them. 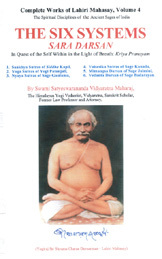 Some of the most common Nyayas or maxims have been compiled under the word Nyaya for easy reference. Three Appendices have also been provided. The first is on Sanskrit Prosody. The second Appendix gives dates, writings etc. of some of the important Sanskrit writers. The third Appendix lists the most important names in the geography of Ancient India with reference to their modern-day location. The Practical Sanskrit-English Dictionary has been undertaken to supply a want long felt by the student, of a complete and at the same time low-priced Sanskrit-English Dictionary. The main feature of this Dictionary is that it has aimed at being practical. With this view the author has added quotations and references to the peculiar and noteworthy senses of words, especially such as occur in works read by the student at school or college. To a student, especially a beginner, they are very useful, as they supply him with apt illustrations of the senses of words, and enable him to provide himself with a large stock of choice, idiomatic expressions which are so abundant in the language.